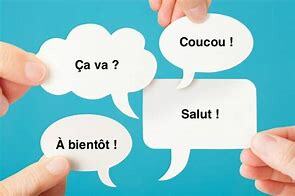 Lovely, lively French lessons for adults in Wakefield! Welcome to French for Fun in Wakefield! - part of a structured programme that could take you through to advanced level and plus. If you are interested in attending French classes, please contact me for more information. We are now taking bookings for our Summer term which starts week commencing 29th April 2019. Please see details for each course. Other classes can be arranged according to demand - just let me know what level and what day you would like and I will put your name on a waiting list. Private lessons for business purposes. We can even set up a class at your workplace if there is enough demand. One to one tuition is also available for adults and GCSE/A-Level students. Please contact me for more information. Bonjour! My name is Stéphanie Fitzsimons and I am a French native speaker. I come from the West of France, near La Rochelle. I passed my English degree at the University of Poitiers and I have a Master's Degree in English linguistics. I have lots of experience in teaching. First I taught English in French secondary schools and colleges for six years. Then in 2005 I moved over to England and completed my Graduate Teacher Programme successfully. I have been a qualified teacher since 2006 and have been working in a secondary school in North Yorkshire for 12 years. I am passionate about languages and I love teaching. So I have decided to join French For Fun as a licensee because I would like to share my passion for my language and culture. I am so thrilled to be able to start this new venture with you! So please get in touch. See you soon!